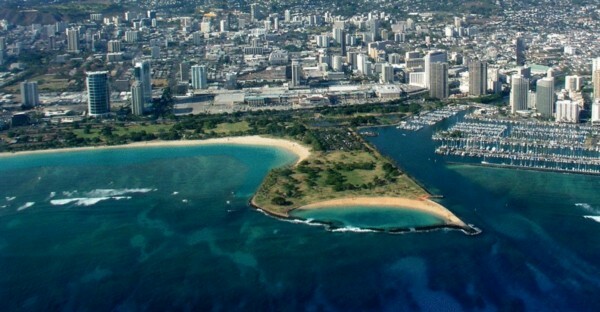 Ala Moana Park contains a beach and grassy area that is routinely flooded by Oahu athletes on evenings and weekends. 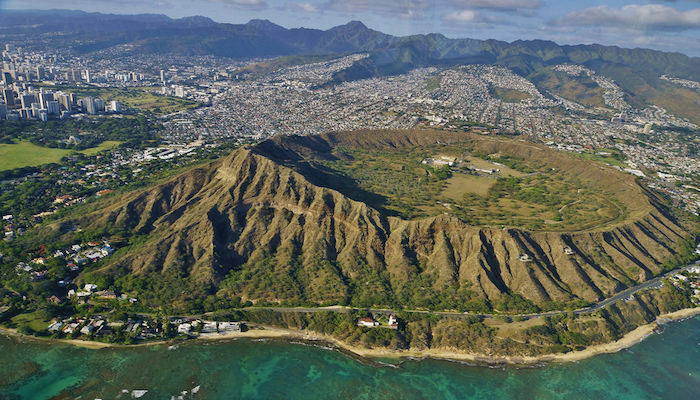 The park is 3 miles east of downtown and 2 miles west of Waikiki Beach. A network of sidewalks allows you to run along the beach, throughout the main park, and throughout Magic Island. This 3 mile loop is flat and paved. 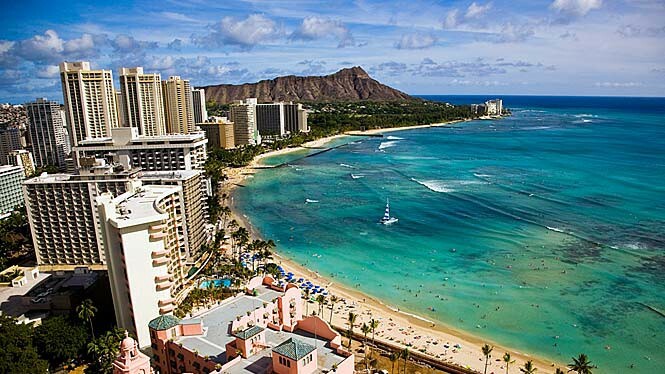 You can park free within Ala Moana or in to the marina, but you may have to wait for a spot as they are popular with surfers.